If it's rod thumping, line stripping beach fishing action you demand, Paul Fenech says bait your hook with a peeler crab and wait for the smoothhound to strike as the sun sets. If there was ever an angling success story in UK waters, then surely it must be the upsurge in smoothhounds that arrive every summer. They have survived and prospered because they are not a commercially sought-after species and long gone are the days when an angler knocked his fish on the head. A picture of an angler posing with a big grin in front of a pile of dead double-figure smoothhounds is now considered illegal in angling circles. Today, the conscientious shore angler is adopting lighter tackle, smaller hooks and enjoying the long lunging runs that these small sharks offer. When the battle is over, the fish is handled with care, gently unhooked and then held in the water until it regains its strength. With a simple flick of its tail, it’s back in its own environment none the worse for its ordeal. Because so many smoothhounds are being returned by shore and boat anglers alike, stocks are flourishing, which is really good news for us all. Smoothhounds predominantly feed at night – but not always. If you choose a venue that offers deep, coloured water, catching will be possible in daylight. Many beaches often remain quiet until the sun goes down. When dusk arrives packs of smoothhounds will head inshore for their nightly feed. Usually, if the sea has been rough for two or three days and then suddenly settles, this is regarded by many as the ideal time for catching a smoothhound. You can do a few things to help put yourself on the right mark. Start by talking to the tackle dealer nearest to the mark you intend targeting. With anglers in and out of his shop every day, each one has his own story of success so he’ll have a very good idea where the fish are, what tides are best and what the killer baits are. Going to a venue the night before a session while anglers are fishing will give you an insight. You can spot where the most action is occurring and then pick a mark. Always remember the old cliché though, that two days and tides may never fish the same. Finally, a favourite among anglers, walking a venue at low tide can give you more than enough information. Smoothhounds search for food in gullies. If you can find a few sandbanks and gullies at a venue that will be covered over on a flooding tide, it is a good bet that the smoothhounds will make their way there to feed. Smoothhounds love crabs! Hardbacks, peelers, softies, crispies, hermits, you name it, they’ll have it. Hounds smell a crab a mile off, and if an area has had a recent moult of crabs, the fish won’t be too far away. Some areas, though, can see fish and worm baits working too, such as sandeels, launce, Bluey, squid or mackerel along with lug and ragworms, but crabs should always be top of your list. Smoothhound fishing is not very complicated but be careful not to go ultra-light. A standard beach rod with either a palm-sized multiplier or medium fixed-spool reel will do the job. A mainline of around 18lb is perfect but it may be wise to beef up on the size of your shockleader. This is not for power casting but insurance when you handle a big specimen, maybe at night in a tumbling surf. I’ve seen anglers play a big fish to the edge only to see it roll in the last wave and slice through 60lb leader like it was cotton. Smoothhounds have very rough skin, so upping a shockleader to 80lb will give you an advantage. The same can also be said for your rigs, so it may be another good idea to carry on from your shockleader through to the rig body and snood. Rigs are by no means difficult to construct but a word of advice would be to stay away from Pennell rigs. 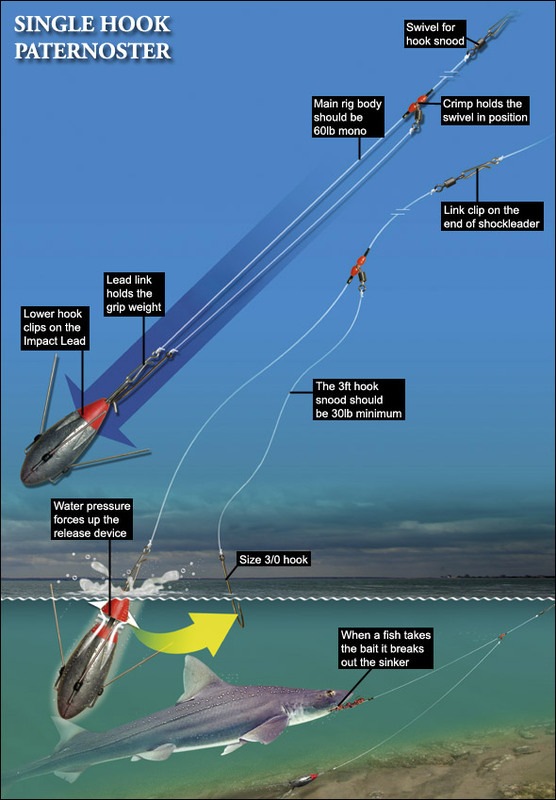 We all know the benefits of using this type of rig for fish such as bass or cod, but a single hook is much more fish-friendly. Hounds have relatively small mouths in comparison to their size and, unlike tope, they lack teeth. Their mouths are designed for bottom feeding and searching out shellfish such as crabs. What they lack in teeth they more than make up for in crushing power, which is capable of mashing a whole crab in seconds. A single size 3/0 hook is more than adequate to hold on to a good smoothhound but, better still, it is very easy to unhook a fish without causing it too much damage. It may be better to match hook size to the size of bait – half a large peeler will attract the attention of a feeding fish. Make it too big and you risk missing bites. Bites can often be unmistakable and other times they may be just dogfish-esque. A first hit can see the rod thumping over in the tripod or being dragged from the rest and down the beach. Other times, you may just notice a slight nod on the rod tip but it’s always better to be safe rather than sorry. After casting, sit the rod in the tripod and slightly loosen the clutch so if a fish strikes, it can run without dragging the rod from its rest. There will be times when you may be away from your rod, preparing another rig, and it is at this time that a fish may take the bait. 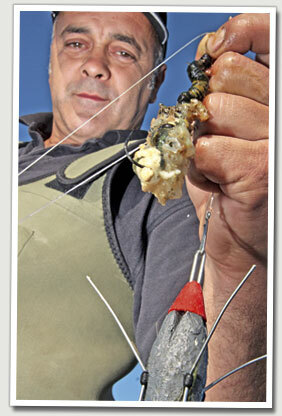 Choice of rig is not such a headache and many prefer a pulley or simple paternoster rig. Never hold a fish upright by its tail but instead use one hand to support its belly and the other to hold the tail in a horizontal pose. Fish can easily have internal organs damaged if held upright by the tail. Some of the bigger specimens are normally females and often can be caught while pregnant. Again, handle carefully and try and return quickly . When returning a fish, it is best to walk a few feet into the water and support it until it swims off. Never throw it. Keep an eye out for fish trying to swim ashore, as some temporarily lose their bearings and end up swimming back on to the beach. 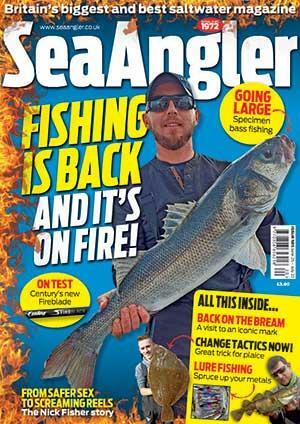 Casting is a big debating point among many anglers. Some reckon blasting it to the horizon is the only way to locate a hound, while others recommend dropping it short. Long casting can often work during daylight but fish can be literally yards from the beach once darkness falls. Vary your distances until you find the feeding fish or watch what other anglers around you are doing. Starry smoothhounds or common smoothhounds – can you tell the difference? If you thought that a hound with spots across its back was a starry version and a fish that lacked spots was a common, you might be wrong. There is only one way to tell the difference, and checking the markings isn’t it. An expert would have to open up the fish and check its internal organs. Starry or common? Does it matter? With the smoothhound population rapidly growing, they’re turning up at venues where they were once unheard of. If anglers keep returning them, who knows, they could be visiting the North East within a few seasons. When targeting smoothhounds, it is not uncommon to catch other species too. Flounders, eels and bass can all take a bait intended for a hound, and don’t forget that tope are often mixed in with them.